Hollywood High School’s swim team is preparing for their first meet against Contreras, scheduled for Wednesday, March 6. On Wednesday, Feb. 20, the team participated in a scrimmage against various other schools in the area such as RFK, Contreras, and Mendez. This served as an opportunity to introduce the new team members to how meets work and get them comfortable with competing. The team started conditioning in November, and started practicing in the pool in early February. The team has been practicing at Bernstein, because Hollywood’s pool has yet to be fixed, an issue they have been experiencing for the past two years. Adding to this difficulty, there have been problems involving the team’s transportation to and from practices. They have to arrange a bus everyday of practice after school. However there have been times when the bus is either late or simply doesn’t arrive. Award-winning composer, lyricist, and playwright Lin-Manuel Miranda left his legacy on Hollywood Boulevard after receiving a star on the Walk of Fame on Friday Nov. 30. Miranda is best known for creating and starring in the groundbreaking Broadway musicals “Hamilton” and “In the Heights”, along with various TV and film credits, the most recent being “Mary Poppins Returns.” Not only is he an active voice in the entertainment community, but also as an activist. The work he’s done over the span of his career has impacted many, which was evident by the crowds of people who attended in the audience. Fans lined the street in anticipation as they waited, some having gotten there as early as 3 a.m. Many wore costumes and merchandise from his work, and even engaged in a “Hamilton” sing along as they waited for the ceremony to begin. 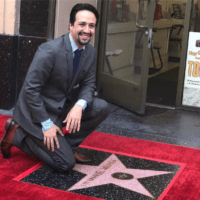 The ceremony itself took place outside the Pantages Theatre, a historic spot both in Los Angeles and for Lin-Manuel Miranda, who recalled having performed there for his first musical “In the Heights”, and which is now the home to his star. “It means the world to me that my star is outside this theatre because I love it so much,” Miranda commented during his speech. Also in attendance to Friday’s ceremony was actress Rita Moreno and singer-songwriter “Weird Al” Yankovic, both of whom also spoke and helped unveil the star. “You have earned this honor—especially because you made a choice to focus the brilliance of your star power for the good of others,” said Moreno. Yankovic added on by describing Miranda as “gifted beyond words,” “absolutely fearless” and “the best human I know”. The magnitude of the ceremony and the words spoken there prompted many who were watching to shed a few tears, including Miranda himself. It was an emotional day all around. El Capitan Theatre is celebrating their Spooktacular 25th Anniversary by showcasing two Halloween film favorites throughout the month of October. 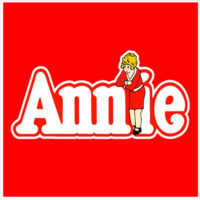 The two featured films are Disney classics, “Hocus Pocus” and Tim Burton’s “The Nightmare Before Christmas”. Both are going to be shown in 3D with interactive 4D sensory effects such as scents, lights, wind, fog, and more. Guests will have special photo opportunities with props from both movies that will be on display before and after each showing. Along with this, the theatre will also be hosting costume contests and surprises on the opening nights of both movies, as a way to usher in the Halloween season. Hocus Pocus is going to be showcased Oct. 11 through Oct. 21, while The Nightmare Before Christmas is going to be showcased Oct. 22 through Oct. 31. Daily showtimes for both movies are 1:00 p.m., 4:00 p.m., 7:00 p.m., and 9:45 p.m., along with 10:00 a.m. screenings only on Saturdays and Sundays. Tickets are on sale now, available at the El Capitan Theatre on Hollywood Blvd or online.